Starting a bar in Mumbai is a big gamble, given the profusion of such establishments in the city and the lack of customer loyalty. There are many places that have opened with fanfare and have shut quietly in the past few years. And there are others that have opened without any ado and have built a decent clientele for themselves. Quench All-Day Bar and Café falls into the latter category. It was started by 20-somethings Manav Chadda and Vineet Shetty four years ago in Bandra and they later opened another outlet in Versova. Their USP was to keep the costs of the drinks viable and the food un-intimidating, so that patrons did not have to focus on what was on their table and could instead concentrate on the conversation they were having with their friends. Now the duo has added another outpost to the portfolio. The new outlet at Juhu is squeezed between Grain & Bagel and Café Coffee Day, and even on a rainy weekend the bar saw a steady flow of youngsters streaming in. The walls adorned with ghetto-inspired painting of The Beatles, Jim Morrison, Elvis Presley, etc, add a spunky vibe to the otherwise dimly lit bar. The other high spot about the eatery is the red chequered glass window that overlooks the busy street below, as well as the upturned beer bottles that are used in the chandeliers. We were glad we did not miss out on the popular Herb Paprika Chicken especially since chicken and paprika is always considered a winning combination. A glimpse into the drinks menu left us confused but we finally settled on the Snake Bite (INR 449) and Monkey on the Island (INR 429). Staying true to its name, Snake Bite was a deadly combination of Tequila, orange liqueur, lime cordial and topped with red wine. However, the wine overpowered the taste of all others, lending it a tad bitter taste. We could barely discern any tequila in the Monkey on the Island or vodka for that matter, whilst the Duke’s lemonade played a blink-and-miss-it role in the cocktail. Quench’s food menu is largely influenced by typical bar food and it was comparatively easier to pick out the appetizers. Though I am not very fond of mushrooms, the Labna Mushrooms (INR 209) piqued my interest. Labneh is a yoghurt dip that is a staple in most Middle Eastern meals. Our server informed us that the button mushrooms were in this dip, which was also infused with basil. The pungent taste of garlic elevated the taste of the dish, and our plate was empty within minutes, even though the flavour of yoghurt was conspicuously missing. The Grilled Chicken Olive (INR 239) was dressed in a thick nutty pine sauce and bursting with flavors of basil. We devoured the grilled chicken olive, partially because of the overload of cheesiness – the first of many to come. We were glad we did not miss out on the popular Herb Paprika Chicken (INR 249) especially since chicken and paprika is always considered a winning combination and we were won over by this creation as well. Quench does not make any pretensions about being a gourmet destination, so the no-frills food does not come as a surprise, like this Penna Arrabiata. When it comes to innovation, the chef might not win any awards. 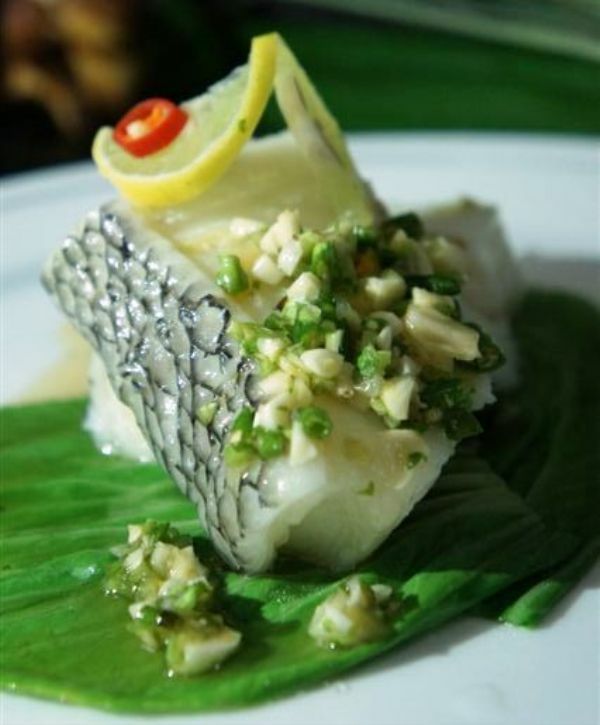 In the Thai Basil Fish (INR 239), the only sign of the basil you sight is a solitary basil leaf atop the fish. The Pesto Penne (INR 329) was hardly inspiring and was very sweet for our taste buds, because of the cashew nuts in the pesto, which made it evident that this was the poor man’s pesto. The Prawns Newburg (INR 419) were supposed to be spicy marinated grilled prawns with mushrooms and red yellow bell pepper served with pimento rice. It was spicy, check. It was grilled, check. There was no trace of wine that ought to have gone into its making to give it a nice glaze and a tangy flavour. The rice it was served with did not have pimento. So maybe, just calling it Grilled Prawns served with a side of spiced rice would have been more accurate. The portions of the Triple Schezwan Fried Rice (INR 309), can make a Mumbai-street vendor weep. Our self-proclaimed gluttonous appetite could not do justice to the heavily piled up dish of Hakka noodles tossed in spicy chicken stew, topped with crispy noodles, with a fried egg! And that is saying a lot. We just about saved some space for dessert, and our server suggested we try the Quench Special Sizzling Brownie (INR 209). It surely would not win brownie points for originality, but the sponge cake, which we were told was infused with beer, was definitely not rock hard as we have had in other places and could even soak the gooey syrup poured over it. Quench does not make any pretensions about being a gourmet destination, so the no-frills food does not come as a surprise. What however comes as a bit of a disappointment is that it follows a four-gravy system, where each of these gravies are overladen with cheese, which after a point just numbs your palates. So, if you are looking for a diner, a restaurant or any place where you can have a quiet conversation, Quench might not work for you. But for hipsters who want some easy grub and unpresumptuous drinks (not high street beverages, mind you!) with some good retro music blaring from the speakers, all without pinching their pocket, Quench has a certain undeniable lure.